You know when you were a little kid and all your friends were in one place? You would make friends at school or in your neighborhood and you would constantly have them around to hang out with. If you needed to see one of them, you could just walk to their house or beg your parents to take you there. But as you get older, your group of friends expands. And it takes way more than just a walk to see them. One of those far away friends for me is Cassy from Fed and Fit. I met Cassy years ago at a conference and our friendship has continued to blossom and grow throughout the years. She’s such an amazing friend that I would actually consider moving to San Antonio just so she could be a short walk away. But since moving isn’t exactly an option at this point in time, girlfriend getaways are how we see each other instead. Just a few weeks ago I saw her in Charleston, but this one-on-one trip to Arizona was definitely needed. Cassy is a ray of sunshine and always leaves me feeling inspired and motivated after I see her. 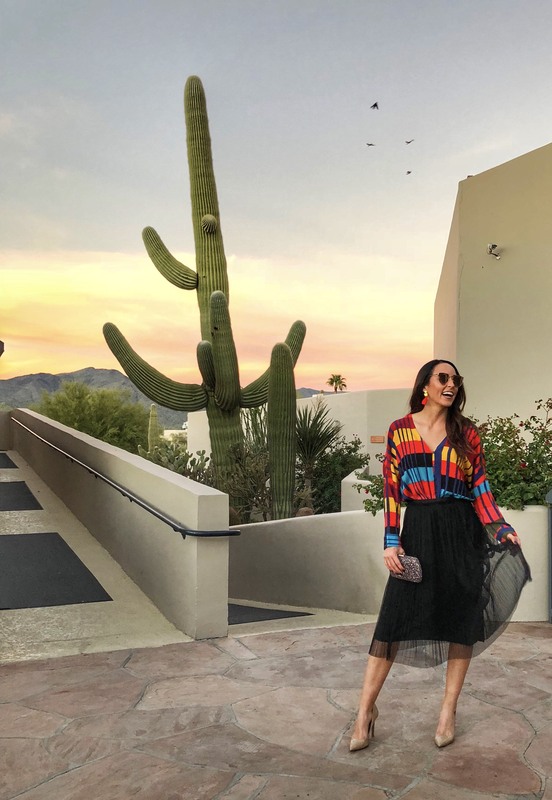 So we packed our bags and met in Phoenix to check out two wellness-driven hotels, perfect for a weekend away for those who like to stay healthy and feeling their best while away from home. But since Cassy managed to get to the airport a tad too late to check her bags, she was stuck in the airport for about 7 hours in San Antonio which meant I did a little exploring without her. And first up on that list was a stop at The Churchill for a chocolatey coffee drink at Foxy Fruit Bowls. 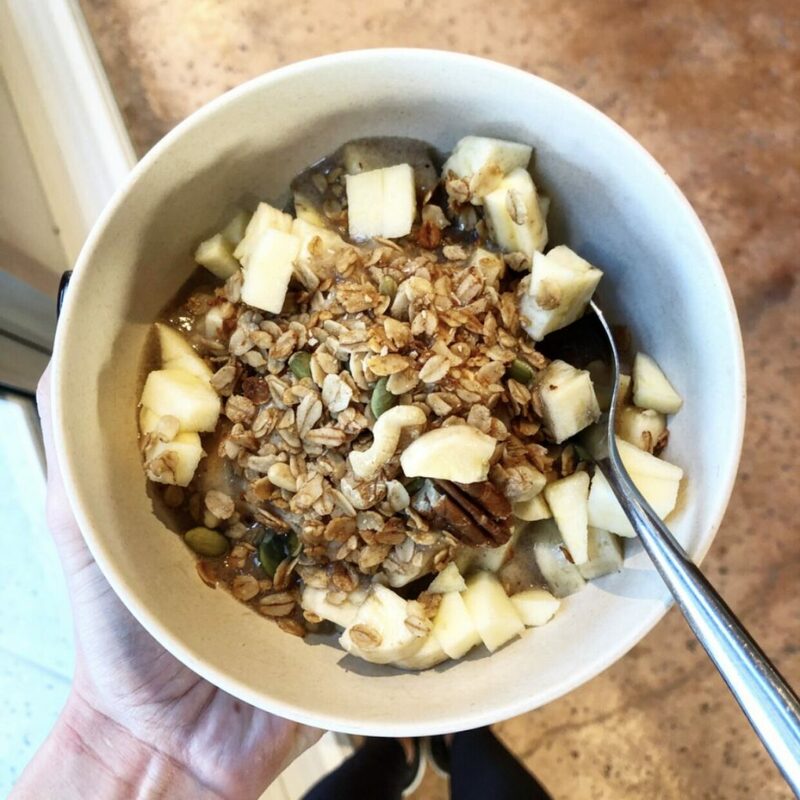 Their smoothies and bowls are all organic, vegan, gluten-free, and local whenever possible. And if you haven’t been to The Churchill, it’s a shipping container project featuring local businesses. 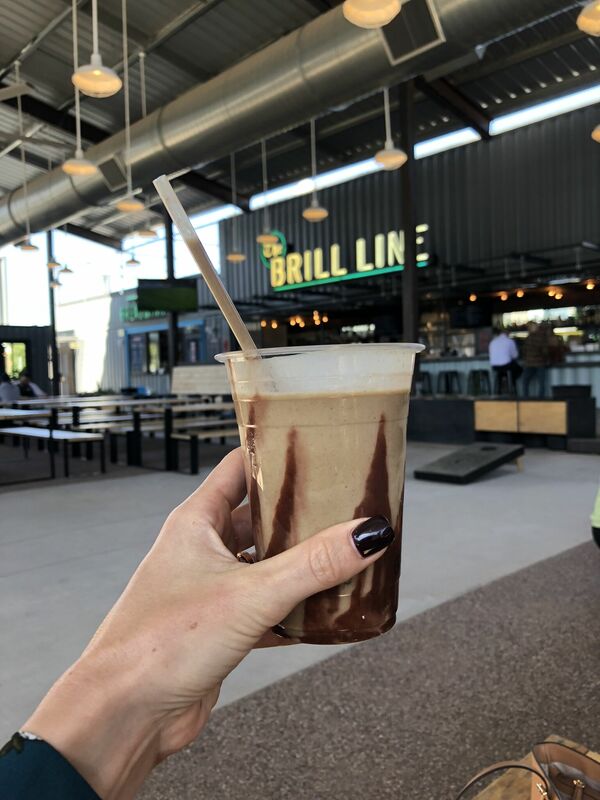 Whether you’re craving tacos, a cocktail, pizza or something sweet, The Churchill gives you the opportunity to snack on any (or all) with your friends in an outdoor covered space. Phoenix always reminds me how great it is to be able to hang out outside all year long…I guess when it’s not 110 degrees F out. After my little afternoon pick-me-up, I headed to Luci’s at the Orchard for a big ole’ salad and some adorable snacks. This was another amazing outdoor space to grab lunch and hang out. There were a ton of people there on their computers working away and it made me want to do the same. 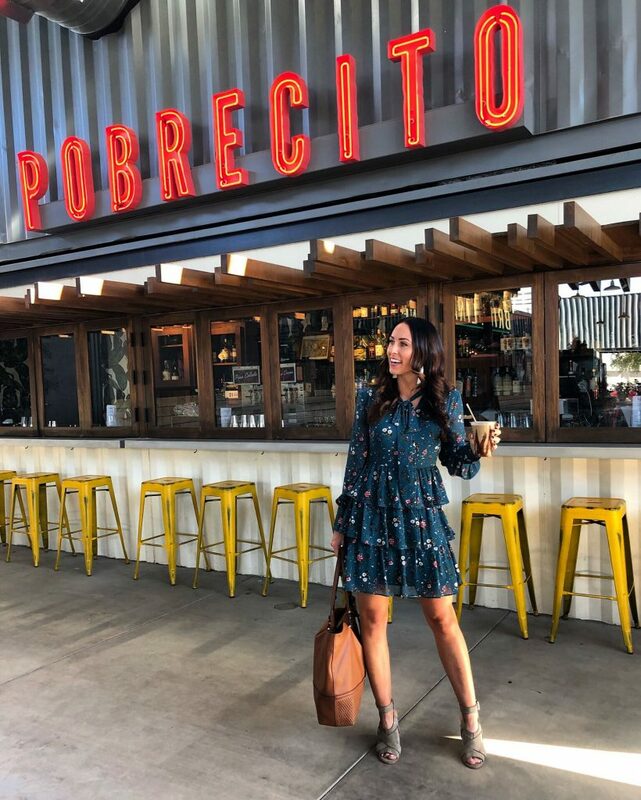 This cute little spot combines a gourmet market and cafe and you can get breakfast all day long or splurge at Splurge’s homemade gelato! See what I did there? 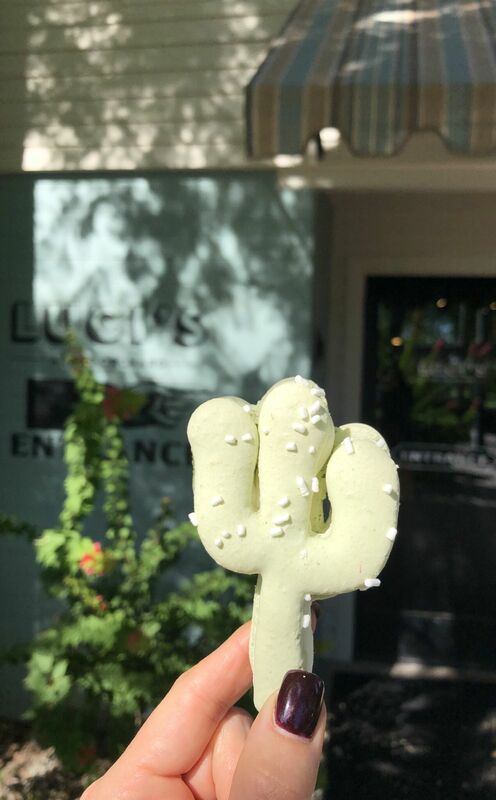 Or you can grab one of their adorable homemade macarons in unicorn or cactus shapes. So damn cute. 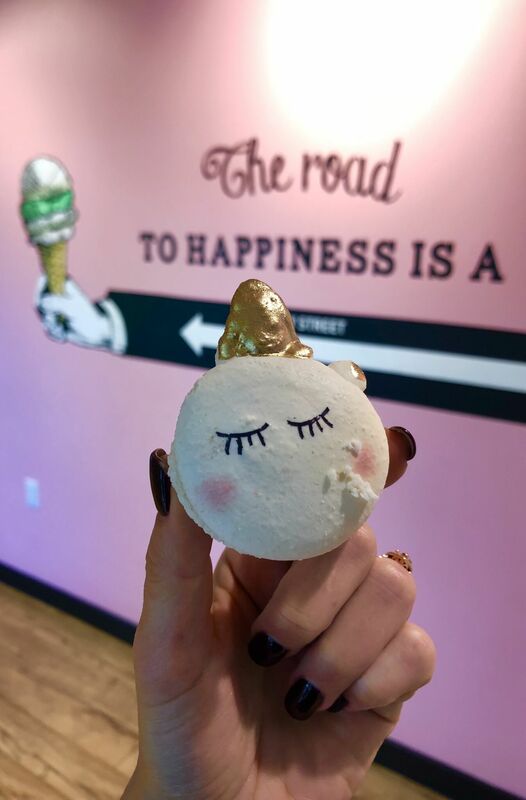 Why is cute food just so much more fun to eat? Maybe it’s the sugar content, not the cuteness. Once I filled up on all the things at Luci’s, I headed to CIVANA Carefree to check in for the next few days. This was my first time at CIVANA and it was truly unlike any hotel I’ve ever stayed at. CIVANA is a super unique wellness destination. They are the first and only resort that connects wellbeing with eco-consciousness. 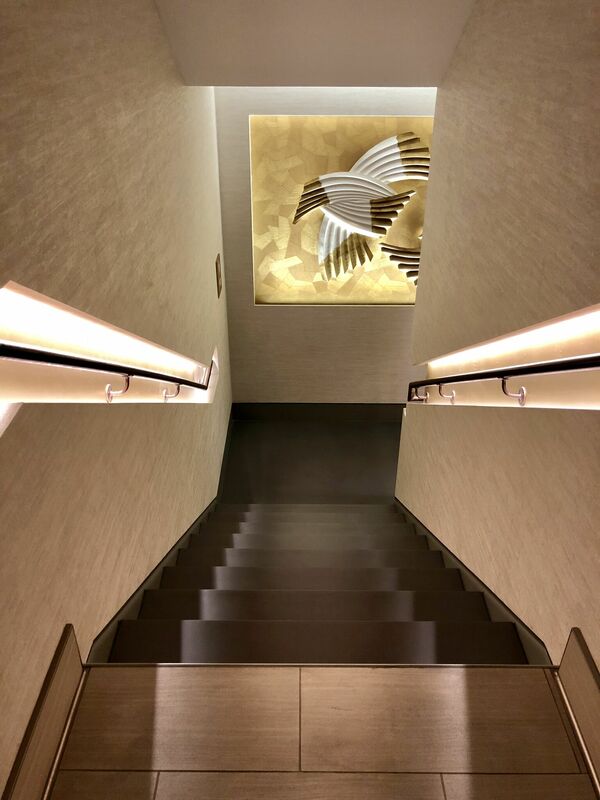 They are all about sustainability and providing an amazing guest experience through healthier cuisine, movement and fitness, and therapeutic treatments. 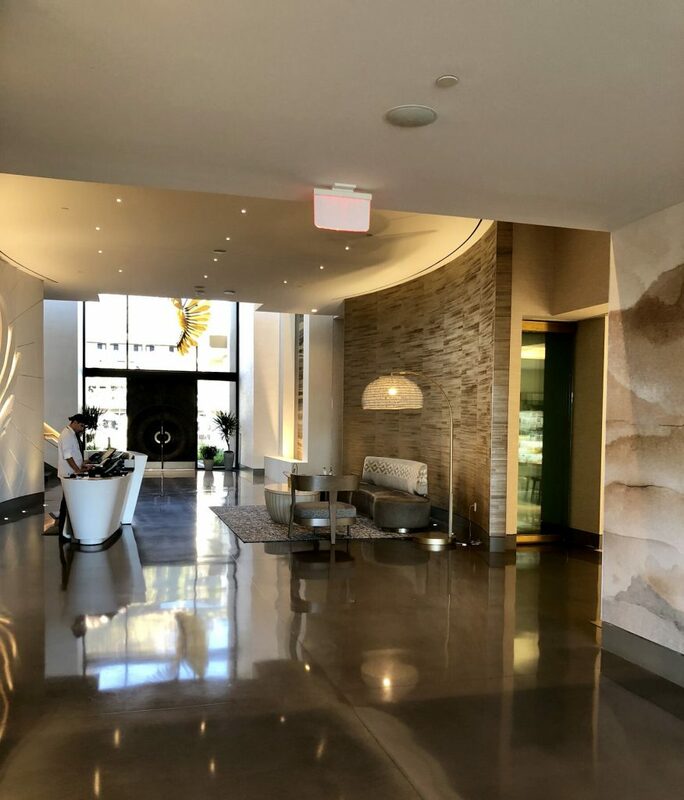 When you check in to CIVANA, you’ll have access to around 15 movement, fitness and enrichment classes each day, two beautiful pools, two healthy dining options, and 22,000 square foot spa, complete with a healing water circuit, Watsu and lap pool, solar energy and water harvesting features in December of 2018! I definitely hope to make it there to check out the new spa once it’s open! One of the most important things when I travel is always food. I want food that feels like home. Like I’m indulging but without the repercussions afterwards. And that is definitely something CIVANA offers. 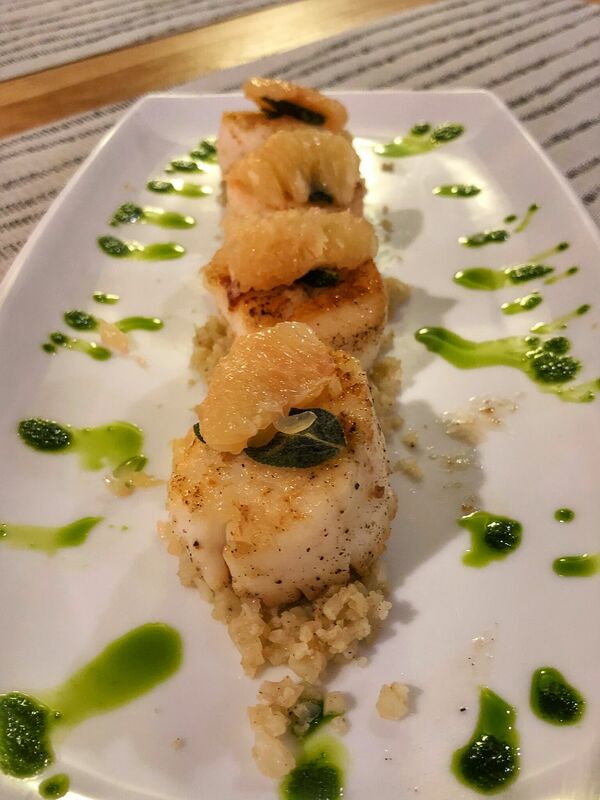 CIVANA has two different restaurants that offer real, whole, organic and sustainable food. They use simple ingredients fresh fruit, vegetables, and grass fed meats and they buy locally and seasonally. And you can taste it. Most hotels out there that offer clean eating often forget about their cooking oils or even the salt they use. But not CIVANA. 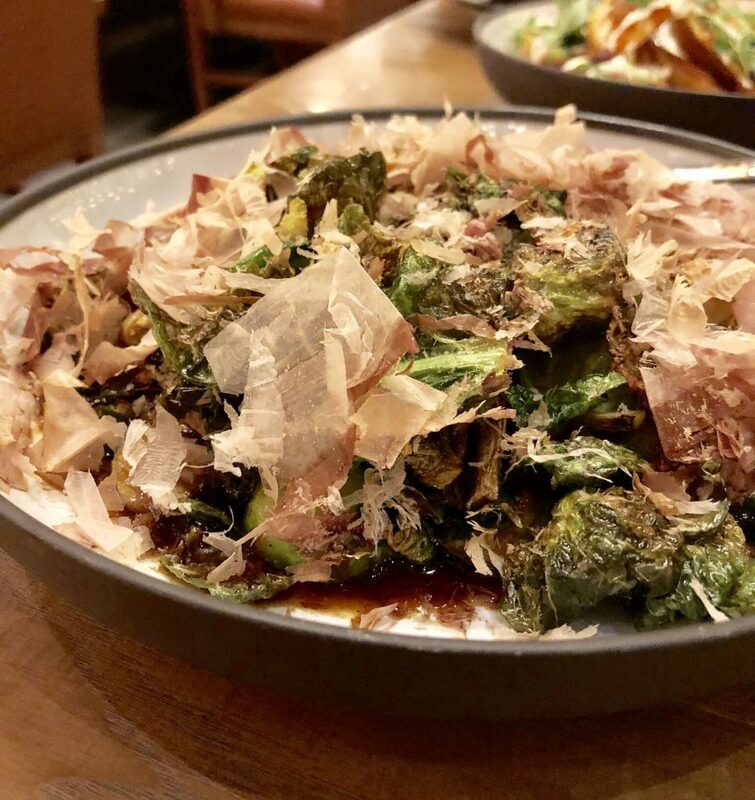 CIVANA uses only the best cooking oils like coconut oil or grass-fed butter, and they cook and create dishes with ingredients like hemp seeds, fresh herbs, and cacao. No where else have I seen ingredients like this on a hotel restaurant menu. During our stay at CIVANA, I enjoyed a beet and green apple soup (sounds so weird, but it was fantastic! 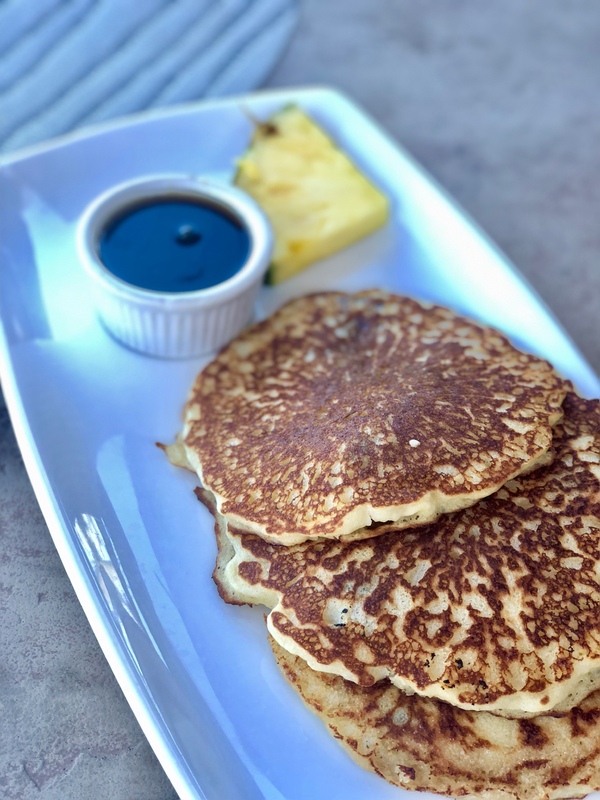 ), scallops with cauliflower rice, an artichoke benedict (with chicken sausage instead of eggs), the most fluffy and delicious gluten free pancakes, clean green juice, grass-fed cheeseburger and fries, gluten free chocolate molten lava cake, and THE BEST granola bowl of my life! And when you’re ordering off their menu, they make sure you know exactly what you’re ordering whether it’s vegan, vegetarian and/or gluten free. No wondering or feeling like you’re annoying your server by asking, it’s all right there! I honestly left CIVANA feeling healthier than when I got there. It was amazing. Even though the food was outstanding at CIVANA, the classes were probably the best part. 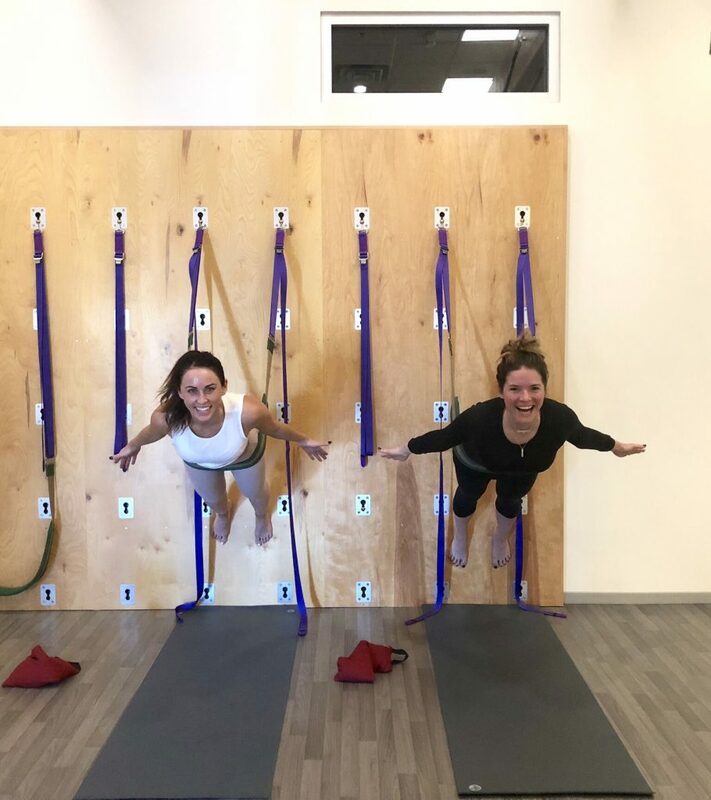 They offer a ton of different classes each day such as total body conditioning, barre, cardio circuit, foam rolling, cycling, hiking, meditation, aerial yoga and something I had never heard of – wall yoga! 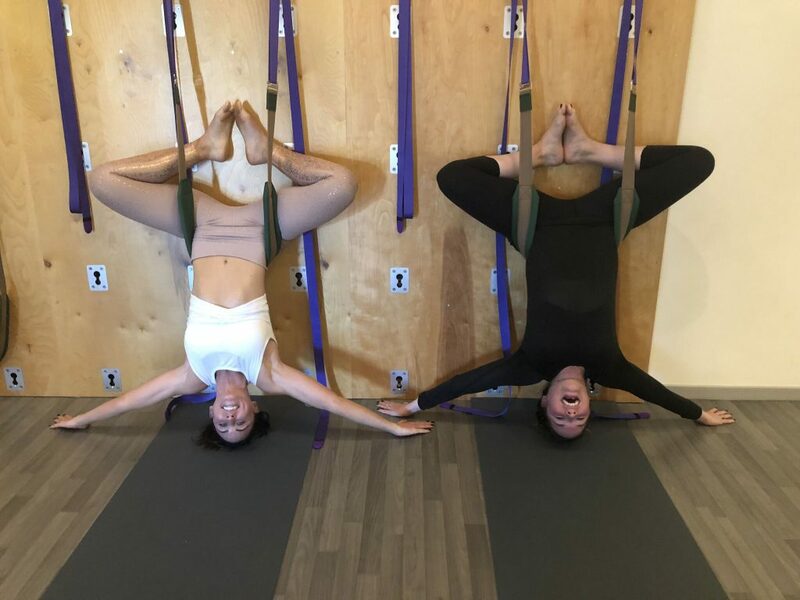 Cassy and I tried it out and absolutely loved it! 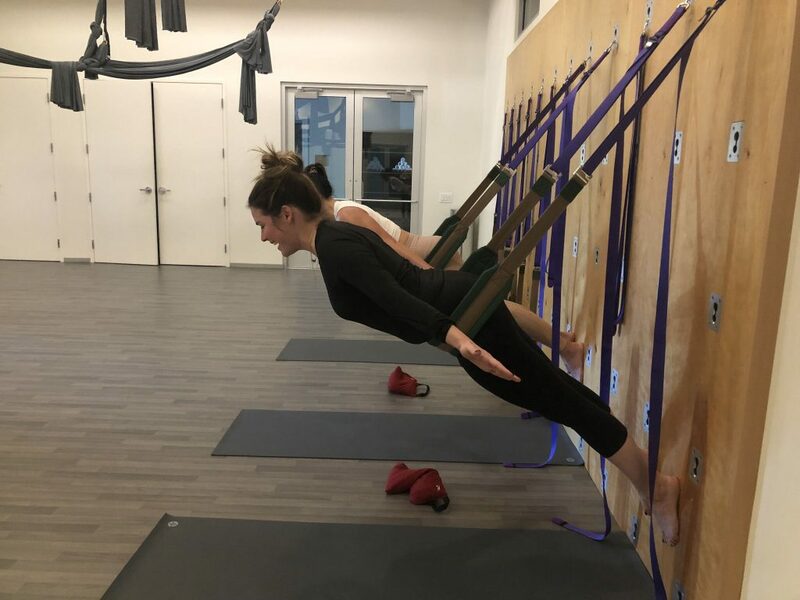 Using the wall and straps allows for a deeper stretch to help elongate your spine while trusting yourself no matter what the movement is. It was so fun! But if exercise isn’t your thing, not to worry, they have a ton of other types of classes like smoothie making, art, intro to crystals, pet whispering, and juicing. CIVANA wants to make sure that you always have something to do throughout your stay. But not to worry, if classes aren’t your thing, they also have a HUGE gym for you to enjoy with three separate rooms. Unlike most tiny hotel gyms you find, this gym has everything you need from kettlebells, TRX, slam balls, squat racks and all kinds of cardio equipment! How is this photo even real? 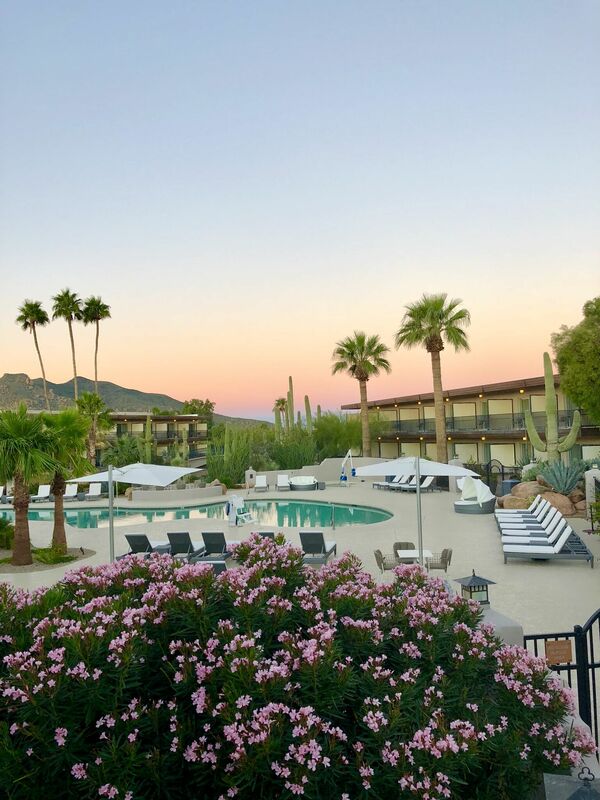 The Arizona sunsets and sunrises are truly spectacular every morning and night, especially when you are poolside at CIVANA. I was feeling sporty after my cardio circuit class and tried to do an athletic pose. It failed. 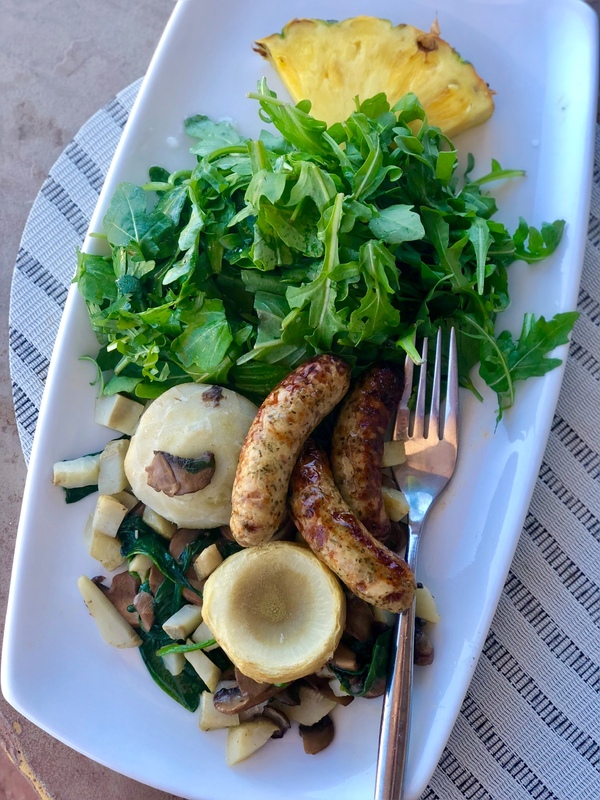 After our amazing stay at CIVANA, we headed out to check in at The Phoenician, but we first stopped in at Farm & Craft for a delicious lunch. I’ve been to Scottsdale many times, but this was the first time I tried Farm & Craft and I’m so glad we did! 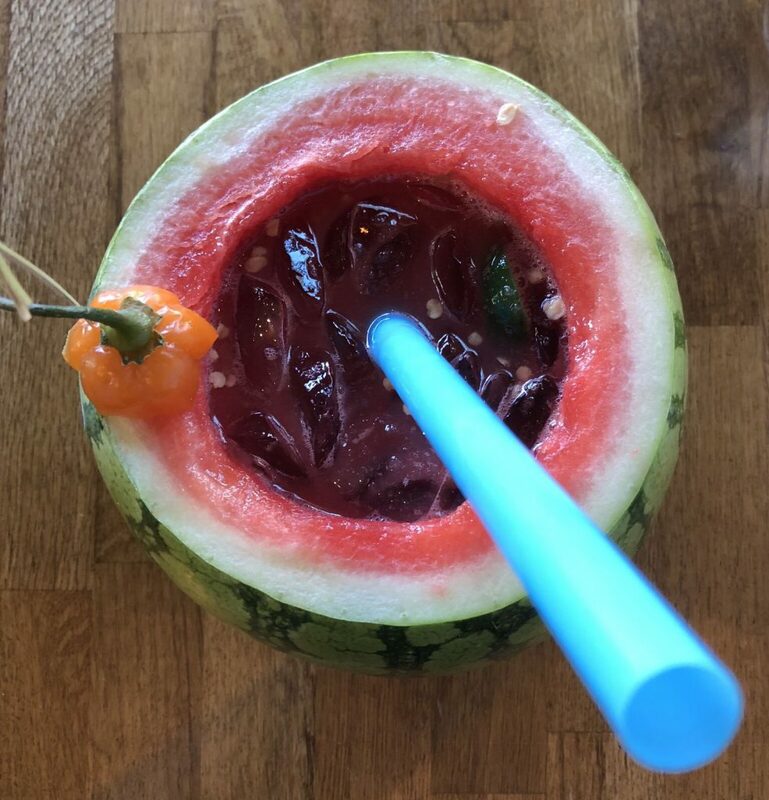 Farm & Craft offers creative cocktails like a habañero watermelon margaritas actually in a watermelon. 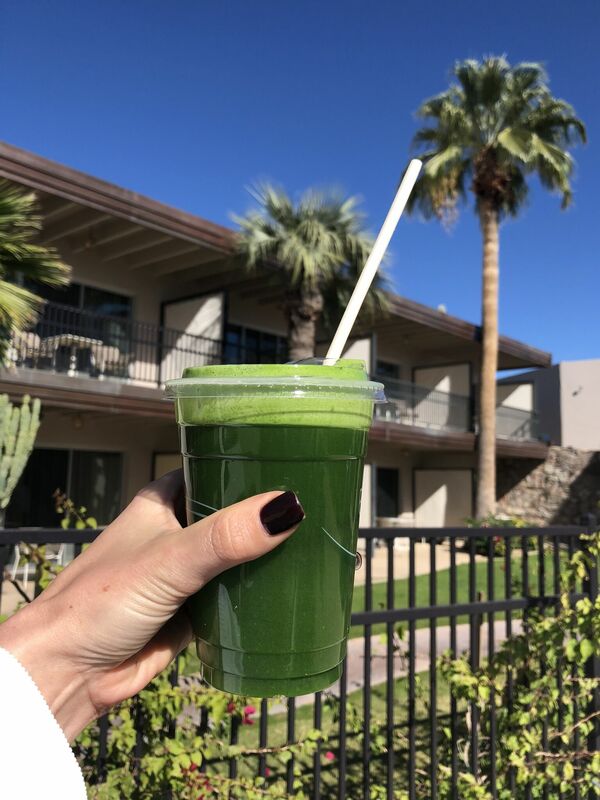 Or you can order a CBD drink, smoothie or a green juice. And their food menu is just as creative. They mark everything on their menu that is gluten free, INCLUDING gluten free mac & cheese. I’ve NEVER been anywhere that has GF mac & cheese and it was amazing (I stole a lot of Cassy’s). 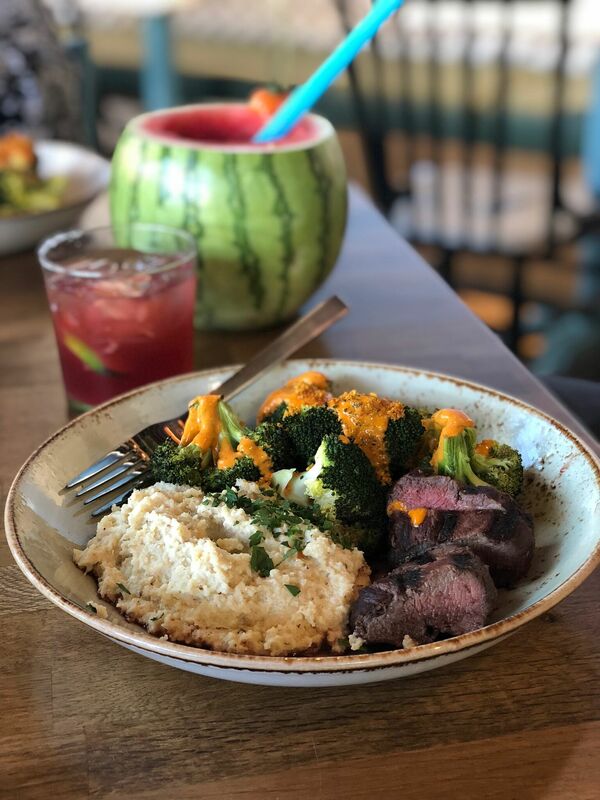 I ordered a steak bowl with GF cheddar cauliflower mash and roasted broccoli. It was so freaking good! After lunch, we finally checked into The Phoenician to experience their fantastic hotel and brand new spa! 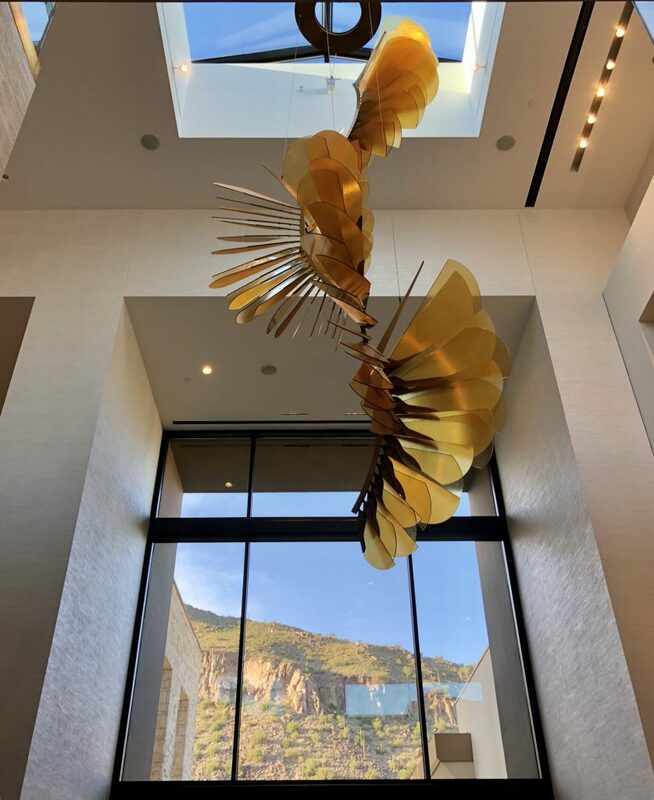 The Phoenician makes you feel like you just checked into a luxurious hotel in another country. It’s open, fresh and has a really beautiful design throughout. This hotel is HUGE which means your entire family will always have something to do whether you want to hang out at the pool, get afternoon tea, eat at one of their many restaurants, workout at their giant state-of-the-art fitness center, golf, or simply enjoy their newly renovated spa. They have everything…but if you ever go there, you MUST check out their spa. & Wrap which was almost 2 full hours! This treatment began with a full body scrub made from salt crystals, desert sage and wild lavender. Then rose stones are placed on the vital centers to enhance your full-body massage. Lastly they wrap you up in aloe moisture that both nourishes and relaxes you while you enjoy an acupressure facial massage and rejuvenating foot massage. You leave the treatment room with the softest and smoothest skin, feeling completely relaxed. It was absolutely lovely! And after our treatment, we enjoyed our last night at Mowry & Cotton. 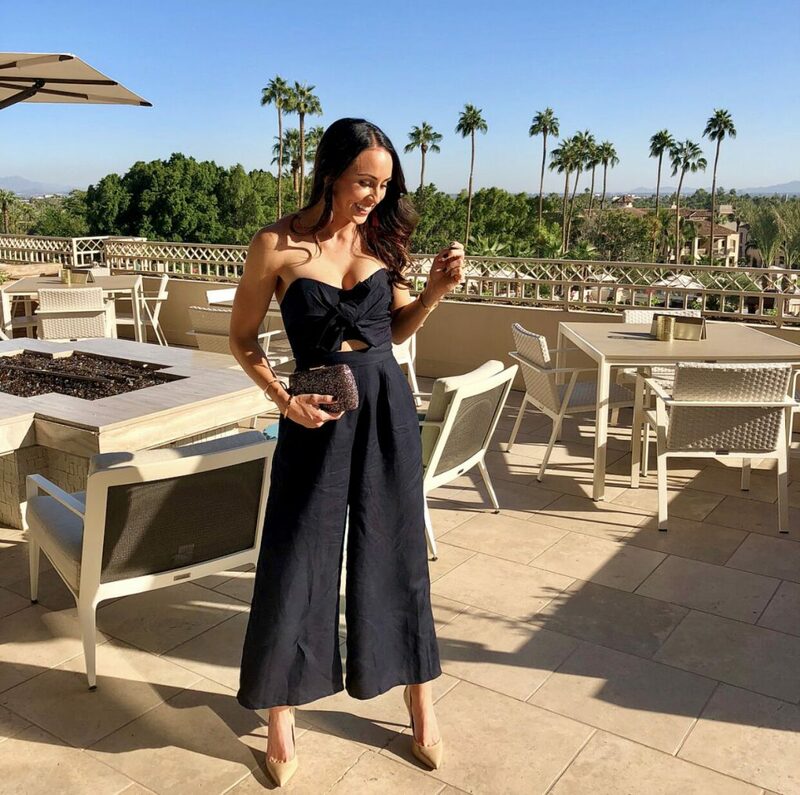 This beautiful restaurant on site at The Phoenician uses bold flavors to create the items on their menu. 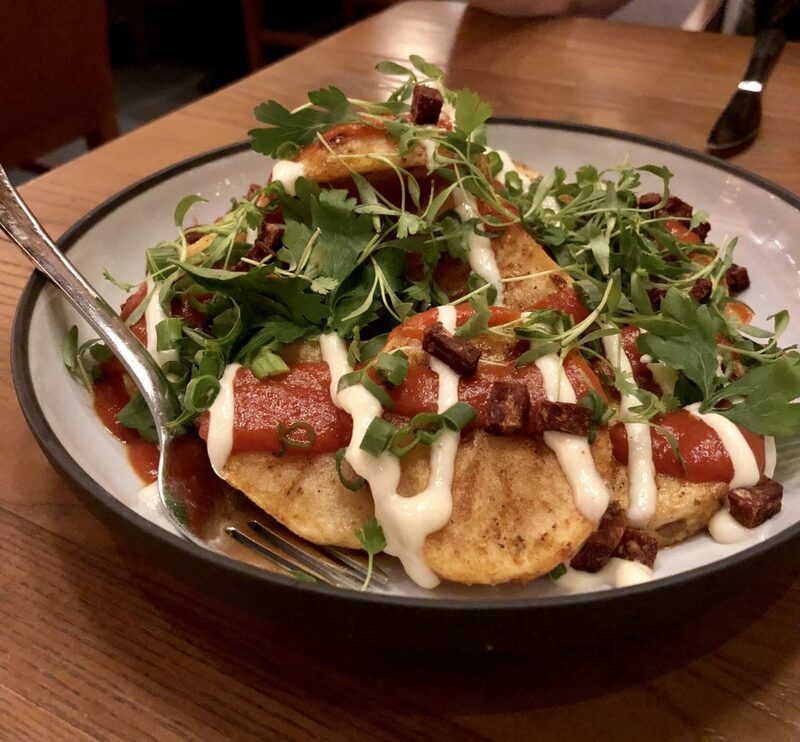 We ordered the crispy potatoes with chorizo, horseradish, and tomato brava hot sauce and the brussels sprouts with bonito and chicory kimchee. 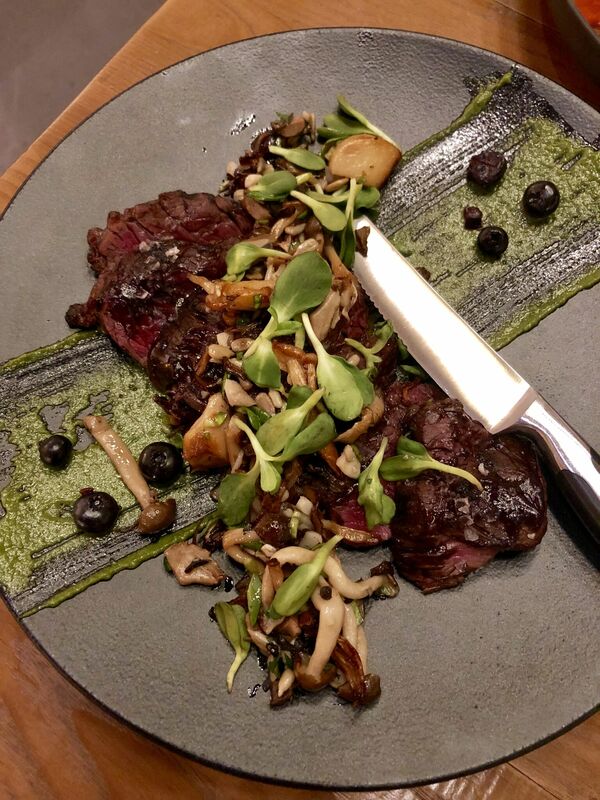 Then shared the charred hanger steak with wild mushrooms, pickled blueberry and sunflower pesto and the whole roasted seabags with ancho chili, corn, cotija and lime creme. Everything was so flavorful and filling! We loved everything we tasted! 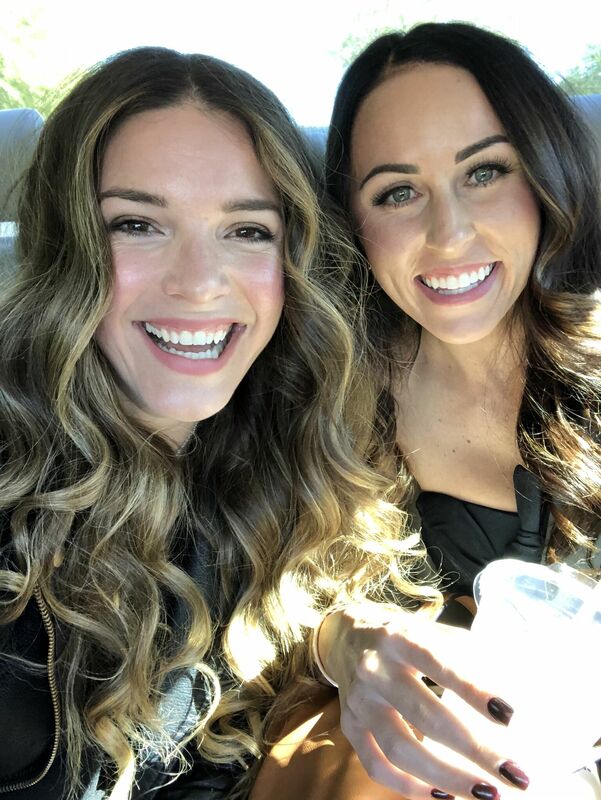 Whenever I have the opportunity to spend time we Cassy, I’m always reminded how important it is to make time from our busy schedules to catch up with the people that mean to most to us, even if they don’t live in the same state. This trip was a reminder that I want to fill my life with people that fill my soul, and Cassy is one of those people. Don’t forget to get away sometimes. Go somewhere that feeds your soul and gets you excited for the life you are living. And don’t forget to make time for people who make you a better person. Friendships are so important and I’m so glad I got to grow mine even more during our time in Arizona. And I absolutely cannot wait to go back! This trip was sponsored by Visit Phoenix, but all opinions are your own! I go to Phoenix annually and will be checking out these amazing places next time I am there. Any plans to recreate some of the food you tried? Would love to see the chocolately coffee drink, brussels sprouts, mac n cheese and granola on PaleOMG site! maybe!! i’m almost always recreating food that I’ve had while traveling! I live in Phoenix and have never been to these places. Honestly, the Scottsdale area is gorgeous and not representative of the rest of Phoenix. The food, resorts and activities there are not what you get in the rest of Phoenix. I wish it was though! 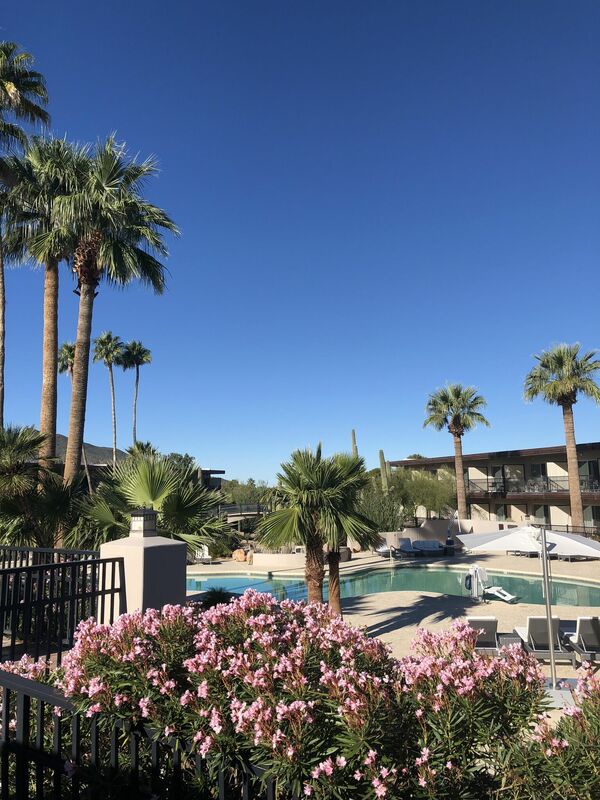 I live in Phoenix too – and think there are lots of great places that are not in Scottsdale. 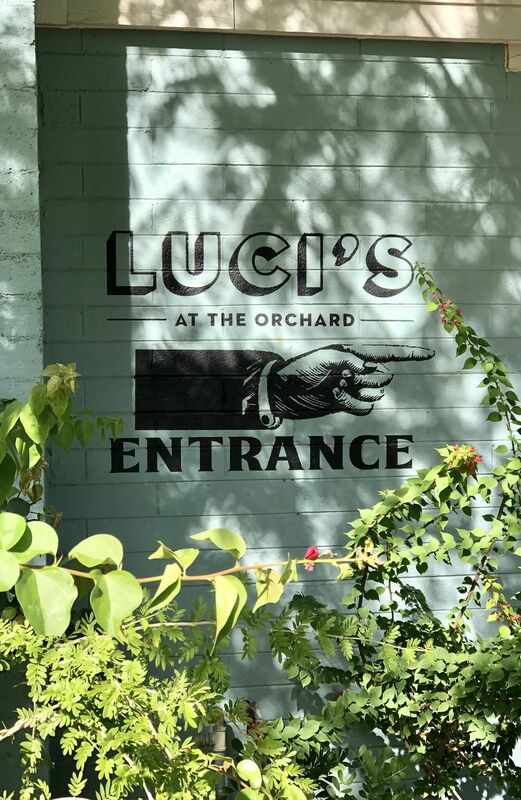 In fact, Luci’s at the Orchard is in central Phoenix where there a lot of local businesses offerings fitness (Pilates, Cross Fit) and restaurants with great food. Thanks Juli for great review of these lovely places! I am grabbing my girlfriends and heading to Civana! omg you’re going to love it!! it’s absolutely amazing there!